Okay, I know it’s not a beer, but sometimes it’s nice to broaden our horizons and try new things. 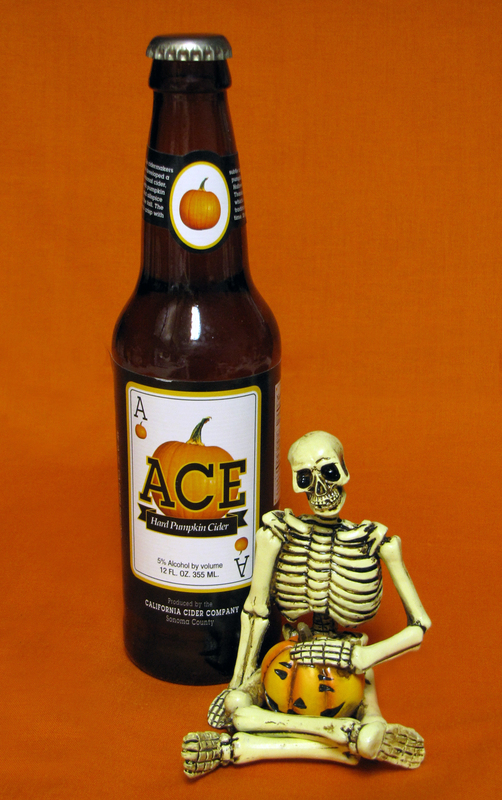 I was traveling through Windmill Farms on my way to the cash register when I spied a display of Ace Hard Pumpkin Cider (AHPC). As a devotee of everything pumpkin, I of course grabbed the nearest six-pack…a move that will go down as one of the better decisions I’ve made. AHPC pours a rich golden orange. Since it’s not a beer, there is no head or lacing. It emits a fragrant aroma of pumpkin and spices and perhaps a hint of apple or pear. First sip…I’ve died and gone to heaven! It tastes like a true cider with the added bonus of allspice, cinnamon, and pumpkin…a medley of pleasurable flavors. Some reviewers claim they can’t detect the pumpkin; this was not a problem for me. I enjoyed this 12 oz. of bliss from my first sip to my last. I think AHPC will become my newest fall tradition.